A new photography exhibition titled Surveillance.02 will open at East Wing on Thursday, 12th Marh 2015 and will go on till Thursday, 30th April 2015. Curated by Anna Van Lenten and Liza Faktor, the exhibition features work by Massimo Berruti, Adam Broomberg & Oliver Chanarin, Edmund Clark (new work created for Surveillance.02), Yann Mingard, Jenny Odell and Tomas van Houtryve. 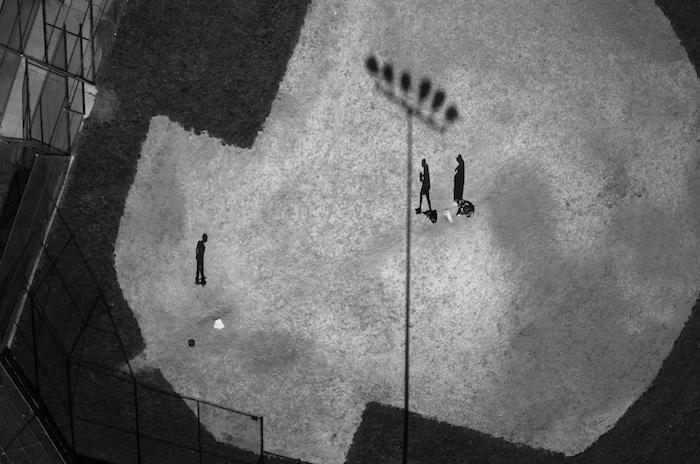 Surveillance.02, an exhibition of interdisciplinary artists whose practices incorporate camera, satellite, and drone to question corporate and state surveillance, and energy production. Fueled by curiosity, anger, and humor, these nervy artists are exploring wide-ranging methods and effects of surveillance, and remixing their findings as commentary. In particular, they are grappling with the human side of the global war on terror, exposing humanity’s permanent wounding of the environment, and engaging with state systems of power and control. At the center of the tensions and anxieties they pursue are the major tangles of convenience and privacy, individual and type, freedom and security. There will be a talk with the curators on Saturday, 14th March at 2pm, they will discuss their curatorial research and their ongoing discoveries into how artists are using the tools of surveillance technology in their arts practice. There will also be a film screening on Tuesday, 24th March at 7pm, World Brain by Stéphane Degoutin and Gwenola Wagon (trailer and synopsis added below). I am VERY excited about this. The exhibition features some of my favourite work by some of my favourite photographers (Adam Broomberg & Oliver Chanarin and Yann Mingard) and can't wait to see Edmund Clark's audio visual piece and watch the movie World Brain. The theme of the exhibition is very topical and looking forward to seeing work that will engage us and make us pause and think about the role of surveillance in our everyday lives and what we take for granted. Here are some of the works. If you are in Dubai, don't miss this. 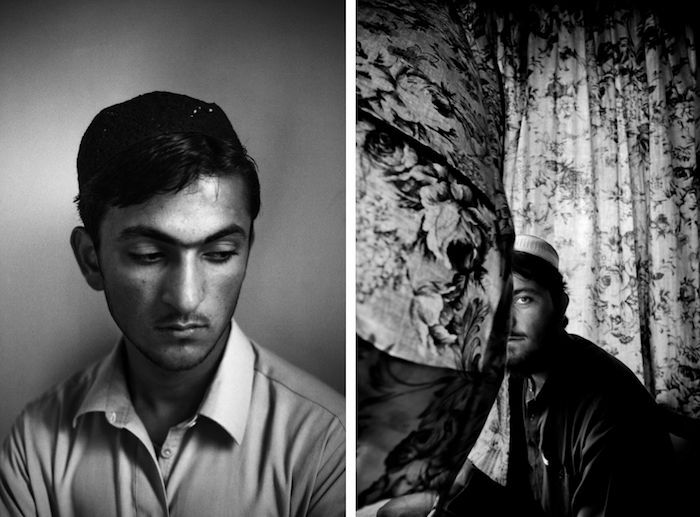 Hidden Wounds is an ongoing portrait series of people in North Waziristan who have been affected by drone strike events; some have been injured, others have lost family members. Like a pebble dropped into water, their physical wounds and psychological trauma ripple outward in rings of collateral damage. Two such effects are the phobias induced by the violence of the attacks, and the drugs some consume in order to balance the strikes' destabilizing aftermath. Access to North Waziristan is forbidden for journalists—especially foreigners—so for victims afraid of being traced by secret services, Berruti photographs in the places he uses for accommodation. 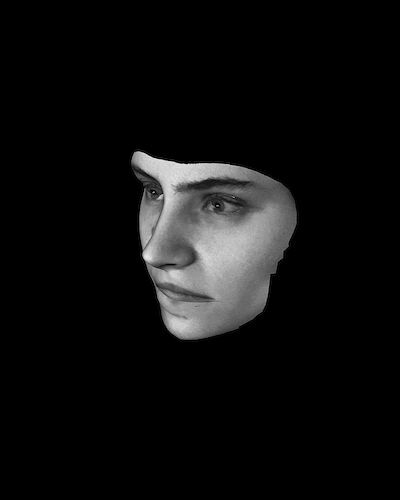 To make the portraits in their project, Broomberg & Chanarin co-opted a four-lens, facial recognition camera developed in Russia for public security or border control. The camera “creates” a seamless face out of many discrete takes. The artists’ concern is that people don’t agree to be photographed in the situations the camera is meant for: crowded train stations, demonstrations, stadiums—any public gathering. Thus, the results come off as evasive—potentially as not in compliance with the state-civil contract. Indeed, Russia has green-lighted using such imagery in court as evidence, akin to a fingerprint. In choosing their subjects and their approach, Broomberg & Chanarin invoked two streams of inspiration: first, they categorized their sitters according to basic social types that artist August Sander identified in his comprehensive photographic survey of German society over the first half of the 20th Century. Thus, they have a rebel, a baker, a philosopher, among other “types”. Second, the artists modeled their photos on Helmar Lerski’s non-heroic portraits, also categorized by profession. Like Lerski, they shot multiple views of one face, from different viewpoints, conveying claustrophobia and the impossibility of concluding anything substantial about the individual person under the skin. Virtue Unmann’d is a new work created for Suveillance.02. It is an audiovisual installation piece that explores traditions of virtue and sacrifice in war in the context of a contemporary battlefield: drone strikes on tribal areas of Pakistan that border Afghanistan. Clark bases Virtue UnMann’d on research he conducted in Lahore, Islamabad, and Peshawar. On those trips, Clark collaborated with Pakistani artists, met with people from Waziristan who have been directly affected by drone strikes, sourced and created imagery of drones, and filmed the recitation of an ode written by the ancient Roman poet Horace and translated from Latin into Pashto. Depositis a photographic project about western civilization’s preoccupation with conserving and guarding organic and digital elements of its culture. 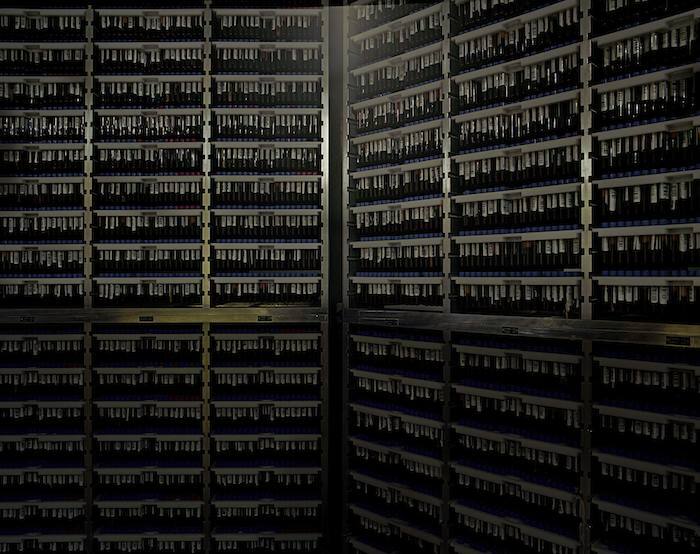 From 2009 to 2013, Mingard documented the physical locations and methods with which we collect and archive data: human DNA in the form of slivers of umbilical cord, dental samples, and sperm; DNA of animals extinct in the wild; the seeds of agricultural plants; and, of course, the vast quantities of digital data that we generate, traveling the pathways of the Internet. Currently, under governmental and private surveillance, “banks” are being built to house stem cells, and blood, sperm, and umbilical cord samples. The means of conservation and research have evolved tremendously. Mingard identifies computers and the Internet as catalysts for this evolution: because of their ubiquity, they are prompting new levels of secrecy and security. For instance, sensitive files created by governments and multinationals are stored in former military bunkers and watched by private guards. Viewed in this context, Yann’s photos point to a bizarre, theatrical, and at times absurd aspect to all this guarding. In Land Marks, Jenny Odell illuminates the ways that energy production sites scar and indelibly mark the surfaces of the earth. Comprising satellite images of four production and nuclear waste sites, Land Marks erases "the ground" or the natural settings around what constitutes the site in order to better understand the impact of mining, excavation, plutonium production, waste storage, and fracking. For example, with “Athabasca Oil Sands,” she has removed the boreal forest that surrounds the tailings ponds and excavated areas that make up the mine. In the case of “Fracking Patterns in Central Colorado,” Odell has cleared the wooded area around the trails and open areas that have been dug. Odell’s aim is to reveal everything that counts as the mine/site—excavated areas, trails, roads, cars, buildings, waste ponds—by removing everything else. In doing so she isolates the structure and makes it more legible as a system. The resulting faint etchings are each an ode to systems, a clearly-distinguished, sprawling circuitry of byways, of bulbed and squared-off cul-de-sacs, of delicate threads akin either to neural ganglia in the brain, or architectural blueprints. One has the impression of deep intelligence and colossal waste at the same time. To gain insight into how our society increasingly uses drones, van Houtryve attached his camera to a modified unmanned aircraft, and flew it over America's drone heartland. Via the pixelated video feed of a drone ground station, van Houtryve was able to cast his gaze upon people and places as never before. As well as the eerie beauty of landscapes and the visual spoils of previously inaccessible locations, he found jarring echoes of scenarios that U.S. military drones spy on and target for killings. Film screening on Tuesday, 24th March at 7pm. Free entry, but you need to book, send an email to info@east-wing.org. World Brain is a film and an essay. It takes the viewer through a journey inside the physical places by which the Internet transits: submarine cables, data centers, and satellites. The film adopts the point of view of the data. The audience view the world as if they were information, crossing the planet in an instant, copied in an infinite number of instances or, at the contrary, stored in secret places. Parallel to this exploration is an enquiry on the utopias and the ideologies linked to the emergence of a collective mind and the hypothesis of a global brain. Saturday, 14th March at 2pm - talk with the curators, Anna Van Lenten and Liza Faktor. Register here. Tuesday, 24th March at 7pm - film screening World Brain. Register here.